"Passenger" redirects here. For other uses, see Passenger (disambiguation). The Passenger Mouse is a breed of mouse found in the Gnawnian Express Station. The passenger mouse can be seen silently watching the clock, waiting for his stop. An orderly fellow, always with ticket, quiet, organized and well dressed. 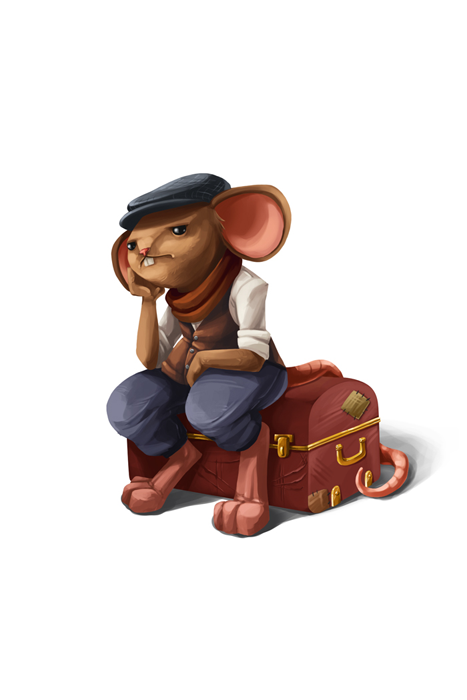 This mouse has no patience for a delayed schedule! Passenger mice have no specific preference for any kind of cheese. Law type traps such as S.L.A.C. are very effective against Passenger Mouse. The Passenger Mouse drops the Gnawnian Express Egg during the annual Spring Egg Hunt. This page was last edited on 9 April 2017, at 01:35.